Acknowledged as the eastern most anchor of the Golden Horseshoe (The highly industrialized and populated area around the western most curve of Lake Ontario) and the Greater Toronto Area (GTA), Oshawa is currently know as a health sciences and education centre. Ranked number 1 for jobs in 2016, Oshawa’s economy is growing rapidly. Home to the General Motors headquarters in Canada, Oshawa has a history automotive innovation. That spirit of innovation now lends itself to education and health sciences. Oshawa is also enjoying an influx of Toronto commuters making their home in the northern side of the city. 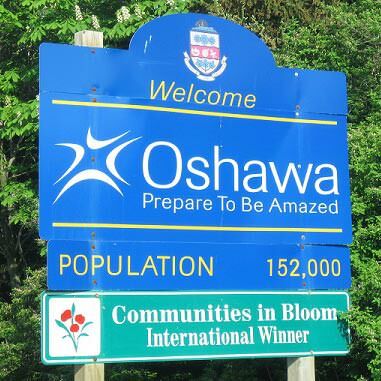 With only a 60 km commute, Oshawa is poised to grow rapidly in the near future. 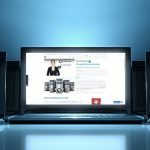 Call for a FREE No Obligation Oshawa Web Design or Graphic Design Quote! 1 (800) 916 3864. Take advantage of the local growing economy as well as the global one with an innovative website design created by a profession company like Thought Media. As a cloud based business, Thought Media has the expertise in web design to help you expand your business into the regional, national, and even global markets. An effective custom designed web site can offer your business quick growth in the present economy. With innovative designs and exceptional expertise, we can help keep your business growing faster than you competition with everything from stylish appeal to the search engine results listings. Blazon your name on the internet with everything from logos to graphs and charts with professional designs from Thought Media. Logos alone deliver the entire vision your brand wants consumers to understand with a single glance. 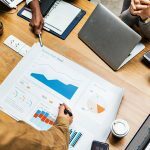 Graphs, charts, and infographics deliver powerful and impactful information, quickly. Our talented and experienced designers are will amaze you with their logo and graphic designs. Accelerate the growth of your business with a website or graphic design from the professionals at Thought Media. Call for a FREE No Obligation Graphic Design or Web Design Quote! 1 (800) 916 3864.